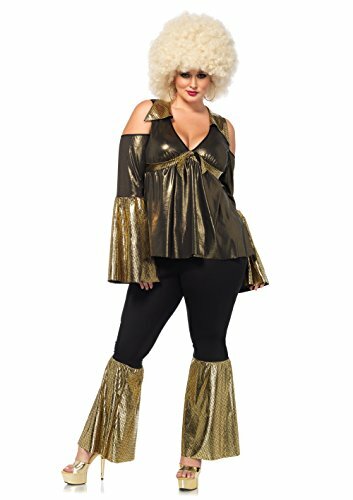 This Plus Size Women's Foxy Lady Disco Costume is a funky fresh option for a retro look. 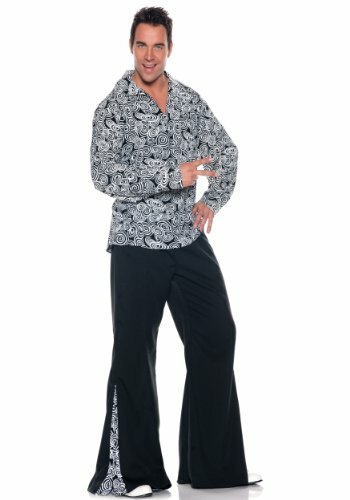 Perfect for shakin' that groove thang. 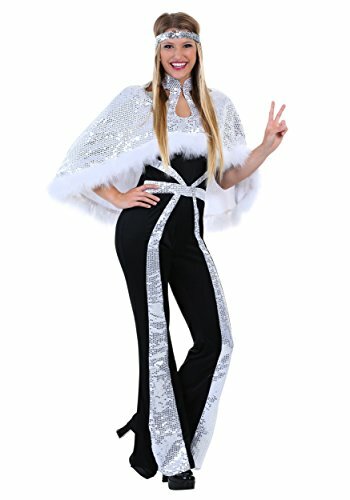 The disco diva costume is a white and black sequined dress with matching head tie. Boots and jewelry not included. 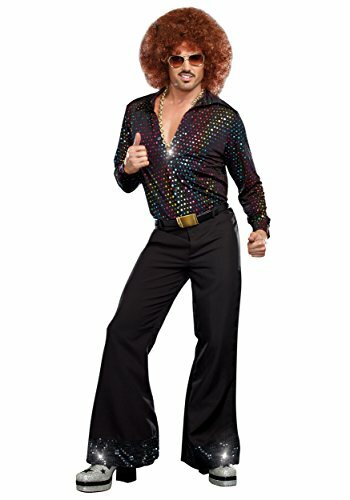 You're a 70s disco queen! 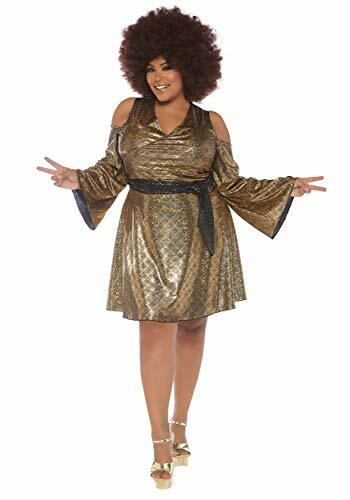 Hit the dance floor in this hustle worthy metallic shimmer wrap dress, featuring a cold shoulder sleeve and attached belt. Get yourself a funky wig to complete the look and go have fun! Disco never died. It's just been sleeping, waiting for some kind of hero to wake it from it's slumber with a hustle dance so stunning, that disco becomes king again. You could be that guy. 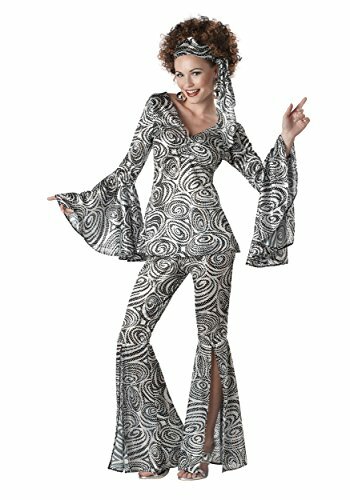 It just requires a snazzy get-up, complete with bell bottoms and a of course, a dance partner to do the bump with. 70's BADDIE TREND LOOKBOOK AFFORDABLE!